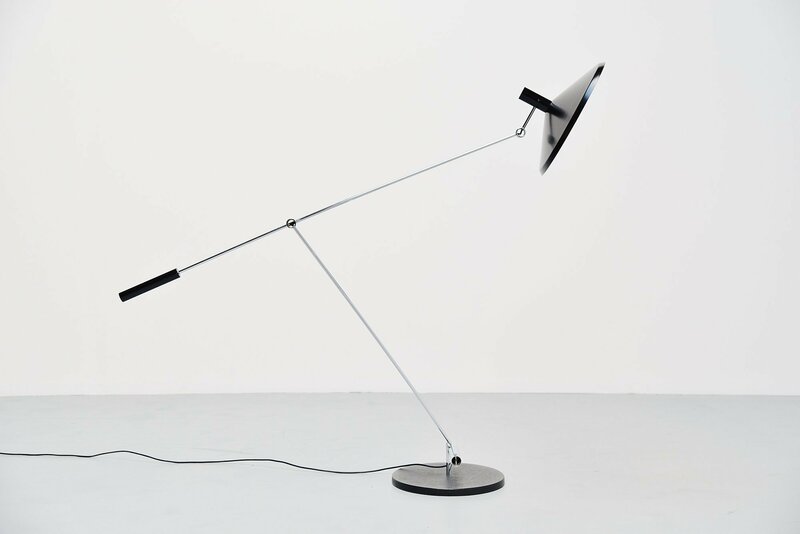 Very nice articulating floor lamp designed by Rico & Rosemarie Baltensweiler and manufactured by Baltensweiler AG, Switzerland 1951. 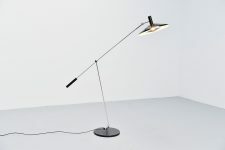 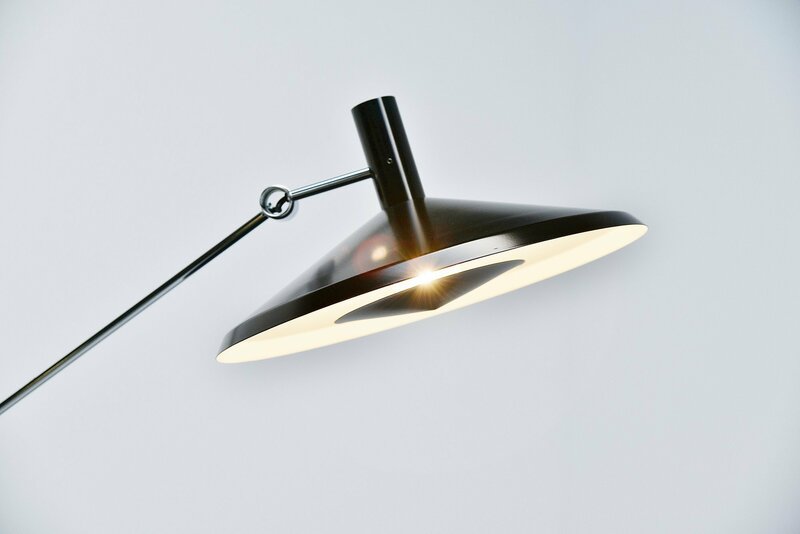 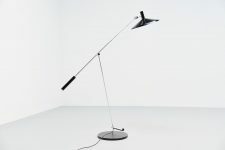 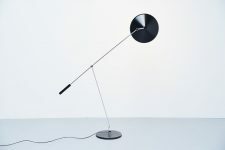 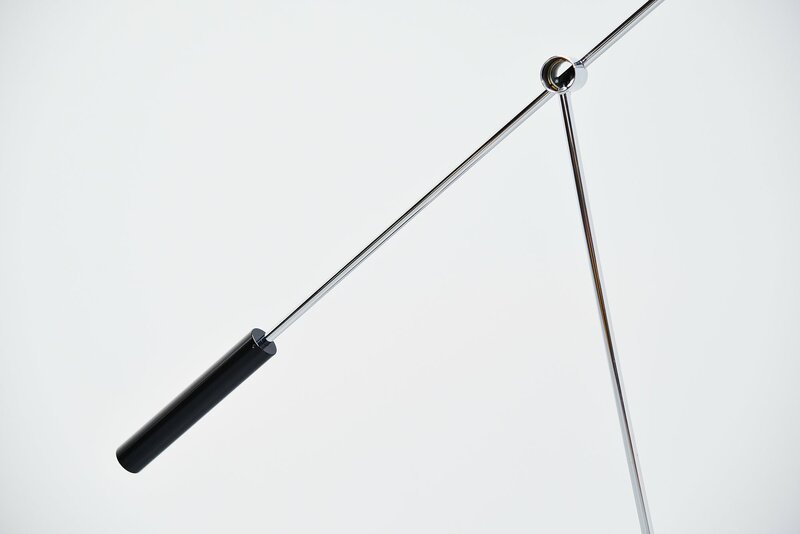 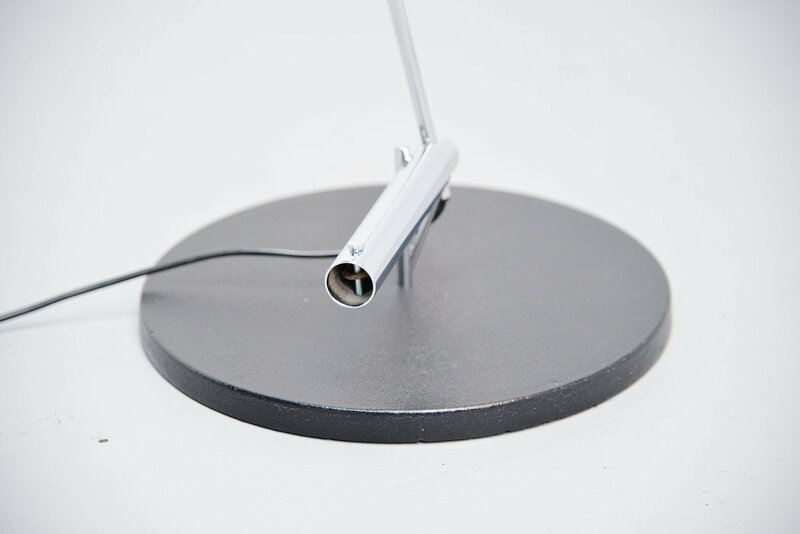 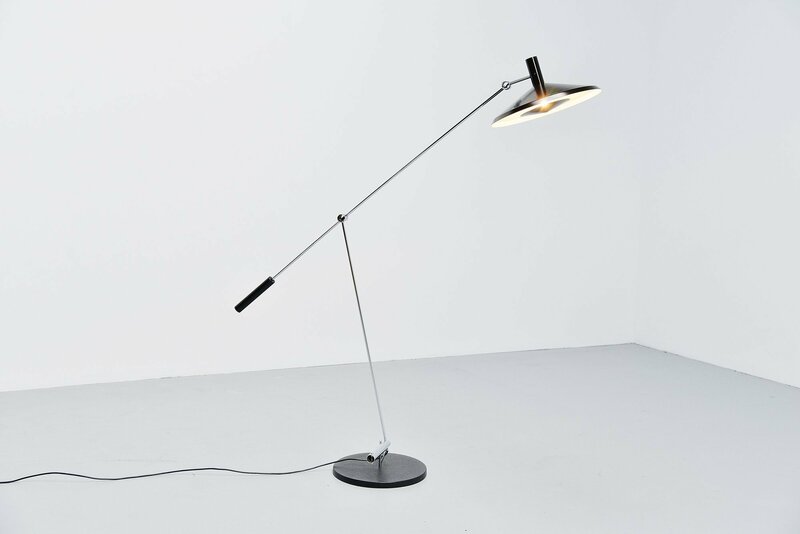 This highly refined modernist floor lamp has a black painted weighted metal base, chrome arm and black painted shade. 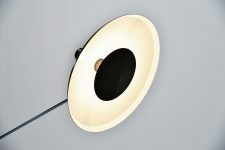 A nice detail is the on/off switch that is on top of the shade, not visible but very functional. Nice fully adjustable floor lamp in excellent condition.